Use of XP Grows and Windows 8 Declines! 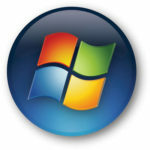 Windows XP has been one of Microsoft’s best performer’s sales wise and has continued to see growth as a product, even though Microsoft no longer supports it. 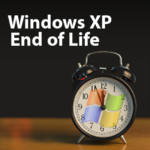 With its support ending this past April, Windows XP was supposed to never be heard from again. Instead, XP is refusing to go quietly into the night by posting positive usage numbers for June 2014. As reported by Net Application, the usage growth of Windows XP was minuscule, increasing from 25.27 to 25.31 percent, but it’s the fact that it actually grew that has caught our attention. The revelation that Microsoft XP has shown this type of resilience in spite of the company’s attempts to mothball it is remarkable. 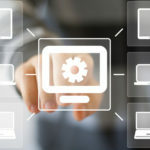 For active XP users it is time to come to grips with what it means for their favorite software to be unsupported. The biggest and most important reason not to use unsupported software like XP is its vulnerability to security threats. Even though Windows XP seems to still be working just fine it is misleading you. Without the safeguards and updates from Microsoft, Windows XP is like a ticking time bomb that can seriously compromise your data. We strongly recommend every XP user to upgrade ASAP. In fact, upgrading yesterday is preferable. The fact that Windows XP usage grew is a mystery that has both Microsoft and the IT world scratching their heads. We could speculate all day as to why this is. One important fact to consider is that this report takes into account worldwide OS usage. Windows XP is still a popular operating system in developing nations where having consistent electricity is more of a concern than running the latest OS. Then there’s the mentality of “if it’s not broken, don’t fix it” that may be keeping many XP users clinging to their beloved decade-old system. Enough about XP, the important question for Microsoft is how did Windows 8 (its latest OS) fare in the last month’s usage report? According to Net Application, not so well. In June 2014, use of Windows 8 and 8.1 dropped from 12.64 to 12.54 percent. This is not good news for the software giant. Microsoft has gone all in with Windows 8 and has committed a ridiculous amount of money towards marketing it. Fortunately there’s good old Windows 7, Microsoft’s ace in the hole. 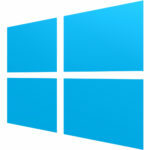 Last June, usage of Windows 7 increased from 50.06 to 50.55 percent. This provided Microsoft’s with its strongest showing on the OS usage report, but it’s a fair guess that Microsoft would have preferred those numbers to be for Windows 8. XP, 8, 8.1, 7, Vista, the rumored 9, the Windows operating saga continues and Quikteks is taking it all in! We can help your business upgrade from Windows XP to a more secure OS, and we can arm your company with the latest solutions like Windows 8.1 to keep your business secure and competitive. Give us a call today at (973) 882-4644 to learn more. 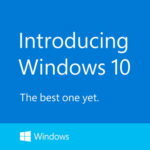 What CIOs Really Think of Windows 10? To Upgrade your Operating System or Not to Upgrade?